Had a little rant on Twitter about yet another BBC story about yet another EV myth. I really can’t fathom it out, what is the BBC’s agenda regarding this topic? Seriously, that’s not a rhetorical question, I do not understand why they are always so negative, either blatantly or sub-texturally when it comes to their ‘reports’ on electric vehicles. If such a torrent of negativity was spewing from such august organs such as the Daily Mail or Daily Telegraph, I wouldn’t pay them much heed, but it seems wrong that the BBC follow their ignorant lead. I was of course criticized for calling out the BBC on this by some people on Twitter, (I was supprted by far more) and I was repeatedly informed that the piece wasn’t ‘anti EV’ but more a critique of the slow progress in installing a re-charging infrastructure in the UK. That is a fair point because that is ostensibly what it was about. 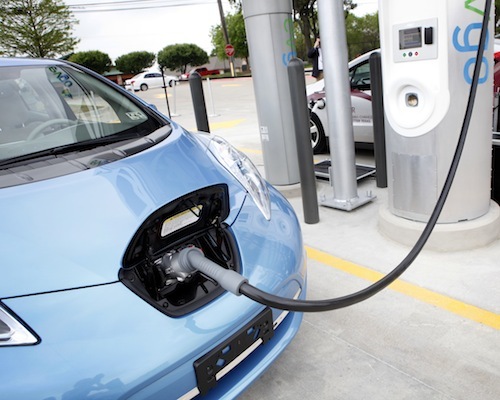 While it is true that there aren’t enough public charging points around the country, it is also true that people who have been using electric vehicles for a while know that they don’t use them that often. This is not to say they’re not needed, but they’re probably needed much less than the doom laden BBC report would imply. Go back 5 years, in London a few street chargers popped up. The most common electric vehicle back then was the G-Wiz, with a tragic range of well under 40 miles. If you drove that from your posh house in Richmond to Marylebone High Street (about 12 miles) you would want to re-charge it to carry you and your pile of designer shopping back home. The G-Wizz was the equivalent of the original brick sized mobile phones, they needed constant re-charging just to make it through the day, they needed recharge posts every few miles. They lived up to the reputation of electric cars that the BBC is still droning on about. The new generation of electric cars, the Leaf’s, iMiev’s, iOn’s and Ampera’s have a much greater range, much higher top speed and are as safe and solid as any other car on the road. In the last week I have driven 702 miles in the Nissan Leaf, I have used a fast charger twice in that time, the rest of the power came from my house, at night. It was all perfectly easy to achieve, I had to plan out the route before I left home, then I just got on with it. But here’s where the BBC’s ignorant bias really showed, the car they featured throughout the news item was the previously mentioned Vauxhall Ampera. Clearly he doesn’t know, and this fact was underlined by the stupidity of using that car to record the piece in. Yes, this is a criticism of shoddy, second rate journalism. So if you are lucky enough to have one of these cars now, and you are lucky enough to have somewhere off the road to re-charge it, you know fairly soon after you start driving them that 95% of the time you re-charge at home. This is the whole point. Whenever you get in an electric car in the morning, the tank is full. You charge it at night using off peak electricity, drive it around in the daytime, return home and plug it in. People with experience of driving these cars agree there is only one kind of charger they want to see installed. The fast charger. This makes a huge amount of difference. If every motorway service station, multi story car park and petrol garage had a fast charger installed, on the rare journeys you needed to go further than your batteries would provide, in 20 minutes you can fill up. There are already some motorway service stations with the system installed, every Nissan dealership in the country has them (that’s what I’ve been using) and they really work well. No mention of this in the BBC report obviously. I hope someone from the BBC reads this and has a go at me, defends themselves over what is very commonly perceived to be a very puzzling and repeated bias.